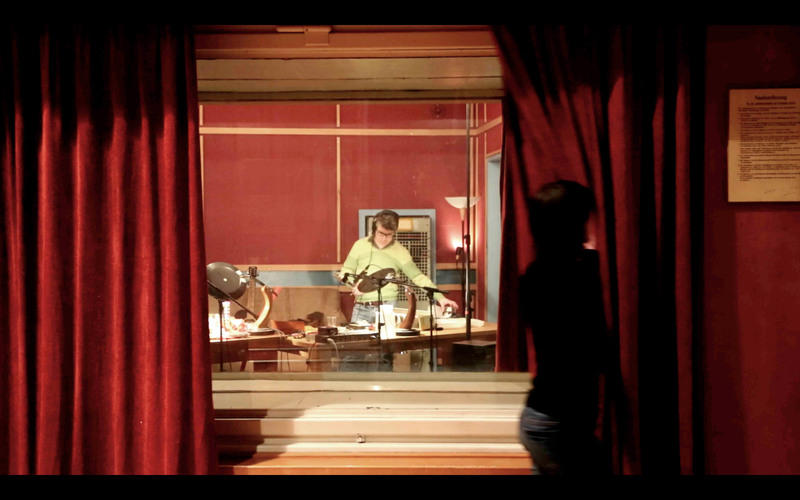 The radio studio as an allegory: An arrangement of rooms, connected by windows and microphones, different groups simultaneously pursue their work: producing, directing, controlling, recording, playing, reflecting. The result is a film about a place that produces for the listening. The result is a radio piece that tries to compensate for the invisibility of the film. In the radio piece "Studio" the films starts again and again. Different acoustic versions it approaches the visual, that is missing. Superpositions of the tracks, descriptions of what is seen, interpretation of the control situation. Kötter and Seidl present four possible versions of an unseen allegorical film.